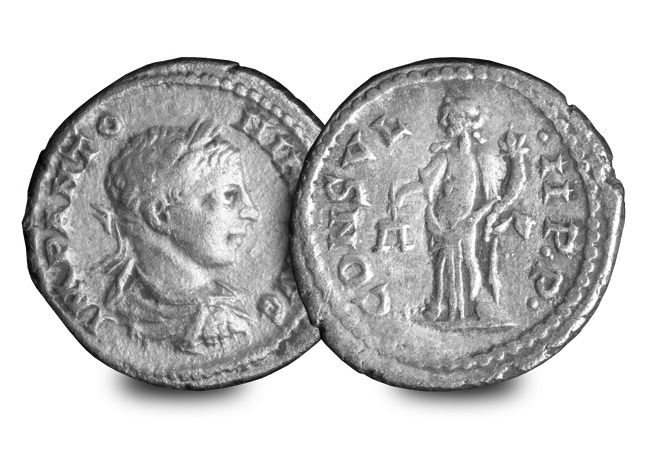 One of the first actions of any new Roman Emperor was to strike coins bearing their image. 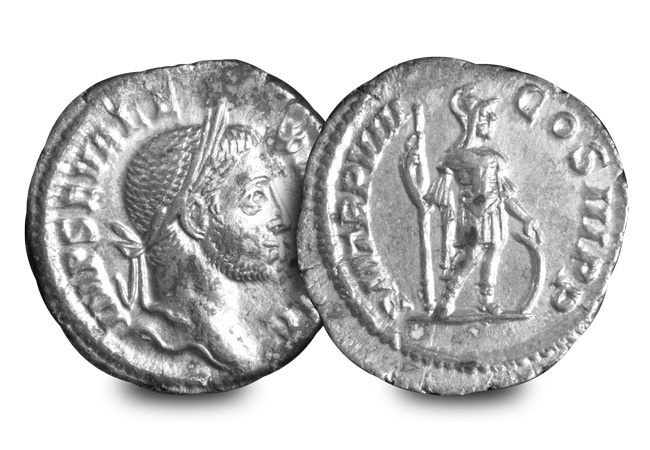 Distributed to the far corners of the empire, coins acted as propaganda and legitimised the rule of new emperor, whether they gained power through means fair or foul. Often referred to as the “calm before the storm”, Antonius Pius enjoyed a long reign. 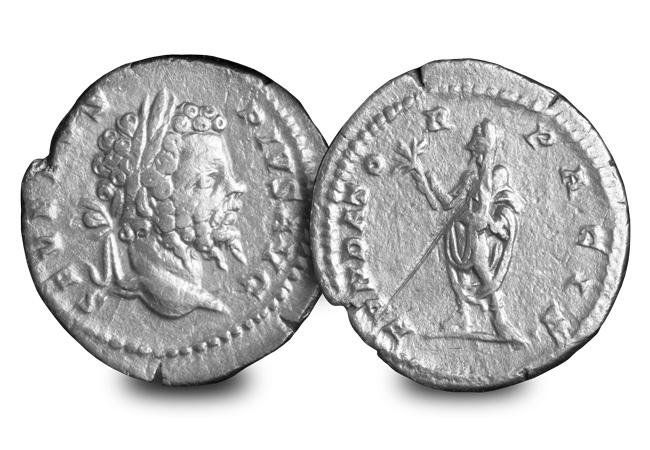 His reign was considered the last extended period of peace prior to his adopted son Marcus Aurelius, coming to power on the day of his death. Antonius Pius was considered modest, austere and well-educated and his reign was characterized by peace and economic recovery, he died a very popular man. The founder of the Severus dynasty, Septimius Severus enjoyed an extensive education and spoke several languages. He was proclaimed emperor by his troops after the violent death of his predecessor and managed to rule unchallenged for 18 years. It is thought that the decline of the Roman Empire began with Severus. Following his death in Britain he was exalted to the level of a God by the Senate. Caracalla succeeded as Roman Emperor following the death of his father Septimius Severus, however he had already been elevated to the position of co-ruler as early as the year 197. Caracalla and his brother Geta had initially reigned jointly, however Caracalla arranged for his brother and all his brothers followers to be murdered, assuming sole regency over the empire. It’s fair to say that Caracalla was not a popular ruler among Rome and while on a pilgrimage he was murdered in an ambush by his own soldiers ending his forceful reign. Julia Domna was the second wife of Septimius Severus and mother to two sons, Caracalla and Geta. 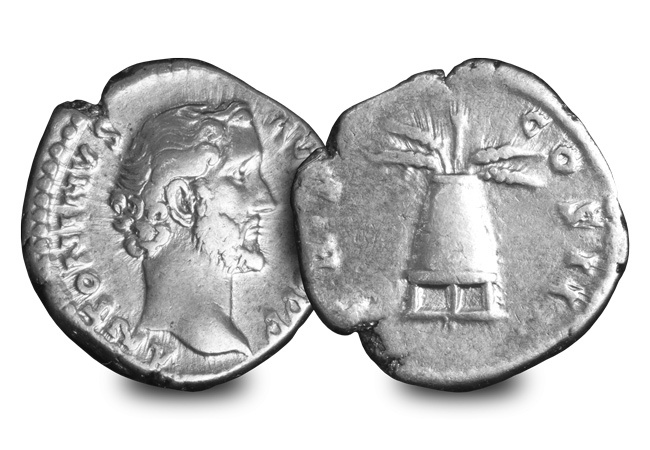 She accompanied her husband on his campaigns in the east of the Empire and was very much respected, the indication being that her portrait featured on coins. However it wasn’t all plain sailing and she suffered greatly due to the strife between her two sons. She lived to witness Caracalla murder his brother Geta, the same year her husband died. Following her own death, she was also elevated to the rank of the Gods. The reign of Elagabalus was scandalous to say the least. When his cousin Caracalla was murdered, his mother passed him off as Caracalla’s illegitimate son, winning the support of the nearby soldiers. His original name was Varius Avitus Bassianus but became generally known as Elagabalus because of his earlier role as a priest of the sun God of that name. Just like his predecessor, Elagabalus too suffered a violent death. He was slain by his own guards along with his mother and thrown into the Tiber when the false claims of his legitimacy came to light. 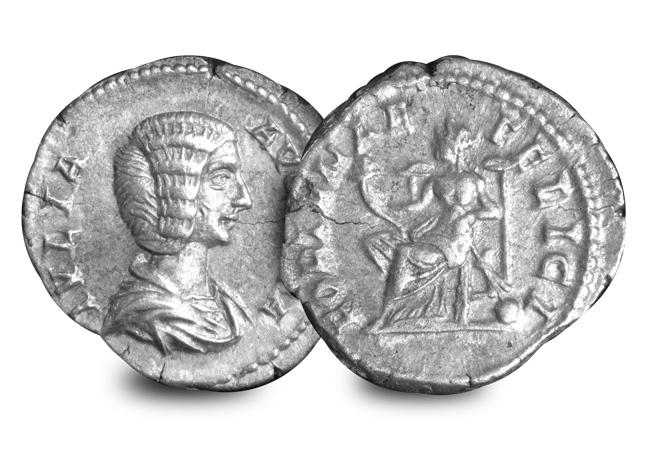 Alexander Severus was appointed Emperor at the tender age of 13 but the dominant ruler was actually his mother, Julia Mamaea. She saw to it that her son received a good education but deprived him of any powers. Gradually the lack of an emperor’s presence in the army dwindled and he too was faced with a violent demise. Eventually, Alexander and his mother were murdered by mutinous soldiers serving under Maximus Thrax, the self-proclaimed new emperor. With the death of both mother and son, the Severus dynasty ceased and the era of soldier-emperors commenced. It’s hard to imagine living in a time as brutal as the stories behind these Emperors of ancient Rome. The golden age of Caesar, gladiators, legions and colossal structures. Now you have the chance to embark on a remarkable journey into the past with this collection of 6 historical silver coins. 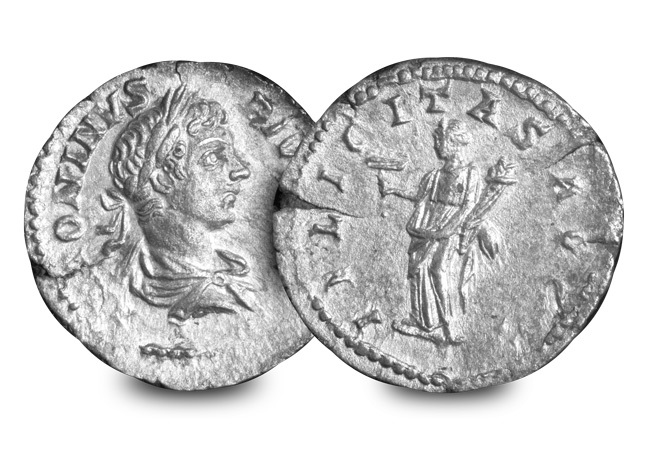 Nothing can bring to life history like coins from time gone by and with each coin, you can hold a living piece of ancient history in your hands.